The city of Santa Fe mandated as early as 1910 that bicycles be licensed but apparently had no requirement for them to display license plates. 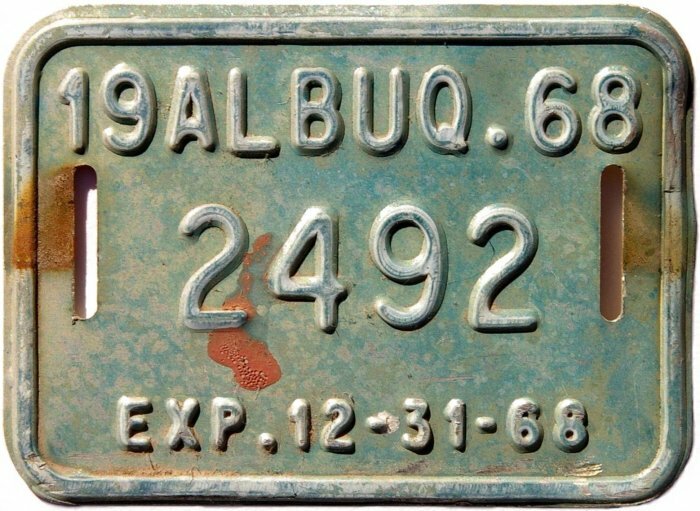 Over the following decades other municipalities introduced bicycle licensing and ultimately began passing out tiny license plates to be affixed to the bikes. 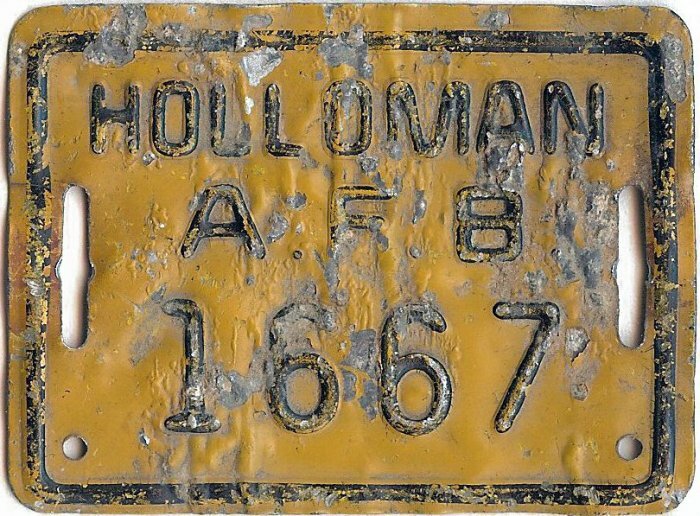 Measuring from a little over 2" x 2" to a little over 2" x 4", the oldest of those known to survive today is a Santa Fe tag dating from 1946, but there were undoubtedly others in use before that date. Photo Credits: Holloman AFB courtesy Tom Allen. 1979 Santa Fe courtesy Art Pedley and Van Baehr. All others by Bill Johnston.